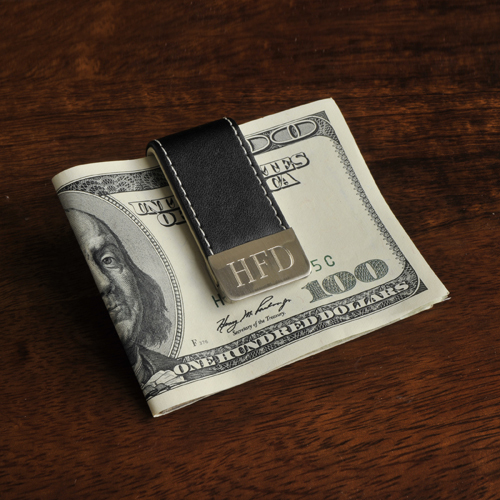 * Sturdy, flexible, and trimmed in black leather with white stitching, this personalized Leather Money Clip has a casual look and feel. * Holds bills, credit cards, or important papers, and hides easily in a shirt or jacket pocket. * Eliminates the need to carry a heavy wallet. * Front includes room for personalization. * Measures 2 1/8" x 7/8" x 3/8". 2.125" x 0.875" x 0.375"